The recent spate of attacks in South Africa, targeting African foreigners has rekindled painful memories of a cyclical problem that has been running for over a decade while putting a spotlight on the immigration policies of one of Africa’s largest economies. The rainbow nation has been a magnet for African foreigners – especially the uneducated and those keen on establishing small businesses. 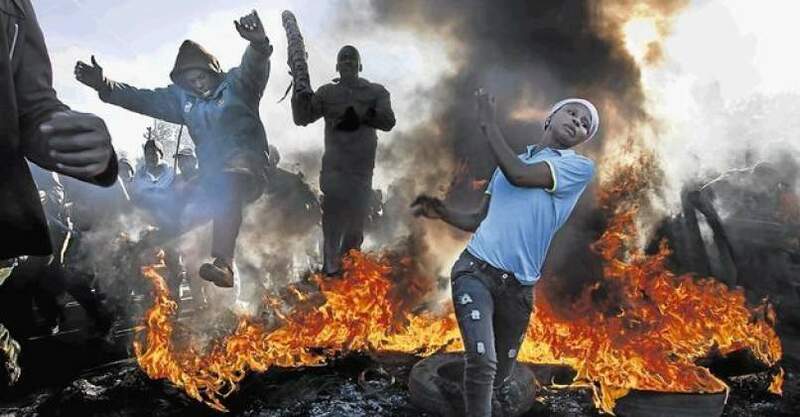 Economic insecurity among black South Africans has, as a result, sparked the xenophobic attacks, with 2008 being one of the worst years where up to 67 African foreigners lost their lives. And despite numerous plans having been drafted by the government to address the problem, it has always remained a ticking time bomb. The attacks have now taken a dangerous twist as politicians openly incite locals. The latest attacks come days before the general elections, with politicians using the foreigners’ card for political capital. Only last month, the ANC presidential candidate and the current president Cyril Ramaphosa – in a veiled attack at a rally – rapped foreigners who set up businesses without permits and licenses and vowed he would put it to an end. Last year, his health minister blamed the collapsing health sector on foreign nationals who were making it hard for the government to provide services to South Africans. The official opposition, on the other hand, has been running its campaign on the promise of securing the country’s borders and blamed the ruling party for flopped immigration policies. Bongani Mkongi, the Deputy Minister of Police, two years ago also insisted that up to 80 percent of foreign Africans had taken over a South African suburb, blaming them for economic sabotage and arguing that if the trend was allowed to continue, the country would see a foreign national as president. There has been no end to the political class’s careless remarks. The result is a growing mistrust and hatred towards African nationals which continues to create more anxiety. According to a 2017 paper by the Institute for Justice and Reconciliation on Social Cohesion, 56 percent of South African had no trust in Africans living in their country, with another 40 percent insisting they would not allow foreign Africans to start businesses or access services in areas where they lived. 20 percent also said they would support the government’s efforts to remove foreigners regardless of their legal status. Such incidents have dented the image of South Africa and taken a toll on its economic growth. The government has for long been paying lip service to addressing xenophobic attacks, and should solely be held responsible for fuelling this unacceptable practice. At a time when the continent is championing free movement of people and opening up borders to foster integration, South Africa, as a country that boasts of a mature democracy should be at the forefront of advocating for harmony and co-existence, and the government must always be reminded of its fiduciary duty to protect the interests and rights of all people, foreign or domestic.